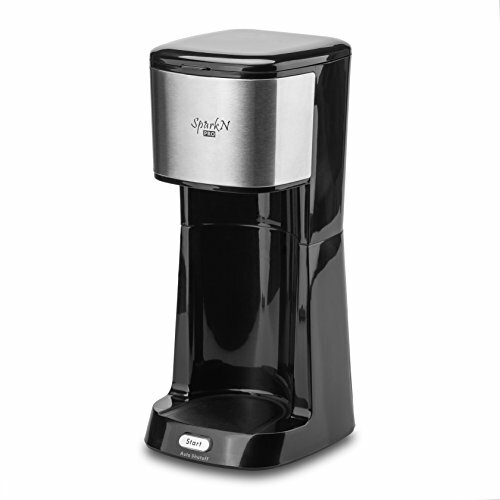 THIS IS SPARKN PRO COMPACT DESIGN OF THE COFFEE MAKER WITH TRAVEL MUG. YOU CAN ENJOY THE COFFEE WHERE YOU ARE, ON THE GO TRAVEL MUG WITH YOUR SIDE. IT IS PORTABLE, LIGHT WEIGH, SMALL SIZE FOR SPACE SAVER. IT IS CONVENIENT, EASY AND FAST, ONE TOUCH ON/OFF BUTTON AND. AUTOMATIC SHUT OFF AFTER BREWING READY. ↓Unplug The Power Cord of the Machine when you do not use it. ↓Clean The Machine With Damp Soft Cloth and Wipe Dry Thoroughly. ↓Clean The Stainless Steel Travel Mug and Mesh Filter with Gentle Soap And Rinse Under The Warm Water. If you have any questions about this product by spark n, contact us by completing and submitting the form below. If you are looking for a specif part number, please include it with your message.